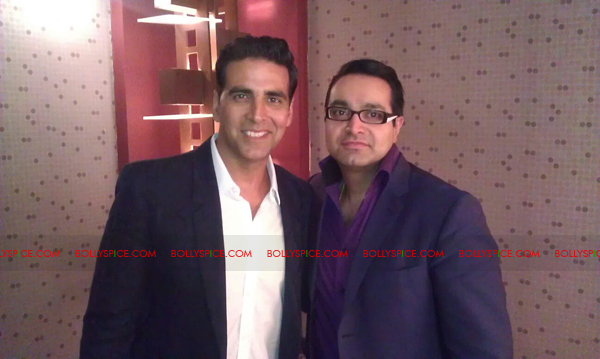 On a night of triumph Freddie Mercury, Ravi Shankar, Jay Sean, Muttiah Muralitharan, Asha Bhosle, Amir Khan, Meera Syal and Bollywood superstar Akshay Kumar were among those honoured at the Asian Awards 2011, a global celebration of Asian achievement in partnership with Lebara, on October 18th at The Grosvenor House Hotel, Park Lane London. Lord Sebastian Coe, hosted the spectacular Awards show in aid of Save the Children, and saw former cast members of the West End show We Will Rock You perform to the 1000 world-class guests in attendance including Freddie Mercury’s family and former band-mate Brian May, Anoushka Shankar, The Mayor of London Boris Johnson, Kanya King, Stuart Broad, James Caan, and many more. Opening the ceremony with a comment on the contribution of these Asian leaders, Home Secretary Theresa May said the winners of The Asian Awards were an inspiration to all – with honours not just from their home countries but from all over the world. A video address from Prime Minister David Cameron further congratulated all winners on their outstanding achievements and contribution to the British and global economy and culture. Google’s Amit Singhal, named by Fortune as one of the smartest people in tech, was presented with the UBM Award for Outstanding Achievement in Science & Technology, while Anand Mahindra, who has built a US$12.5 billion organisation, Mahindra & Mahindra, as Vice Chairman and Managing Director, was awarded the Lloyds Banking Group Business Leader of the Year accolade. It was Amir Khan, the youngest British World Champion boxer ever, who won the coveted Lebara People’s Choice Award. 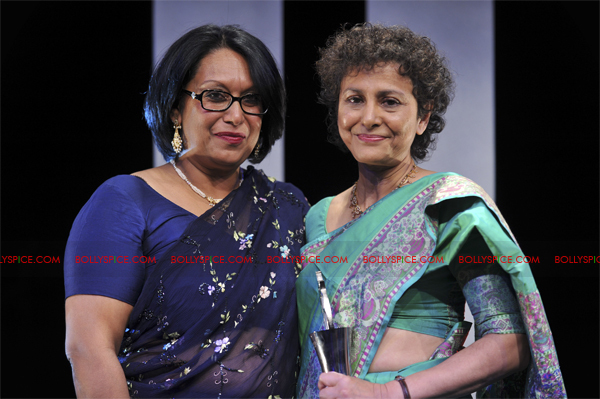 In the Arts categories, comedian, producer and actress Meera Syal received the honour for Outstanding Achievement in Television, while Jay Sean, the most successful British/European male urban artist in US chart history, won the Lebara Outstanding Achievement in Music Award. 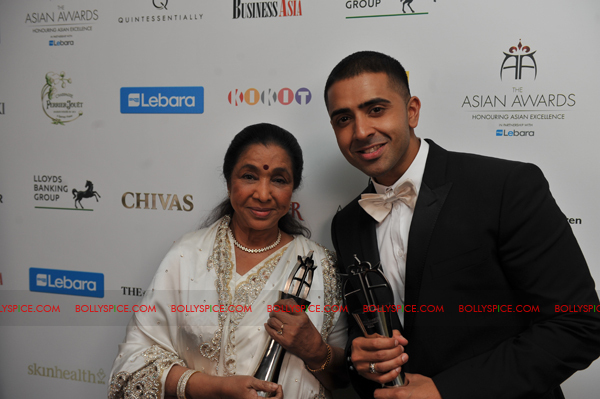 Dr KP Singh, Chairman of DLF, the world’s largest real estate company, won the PwC Entrepreneur of the Year Award, while Asha Bhosle, one of the greatest playback singers in Bollywood history with over 13,000 songs to her credit, was awarded the Kingfisher Airlines Lifetime Achievement Award. World-class cricketer and legendary bowler Muttiah Muralitharan received the honour for Outstanding Achievement in Sport, while Shiv Nadar was honoured the Lloyds Banking Group Philanthropist of the Year prize. 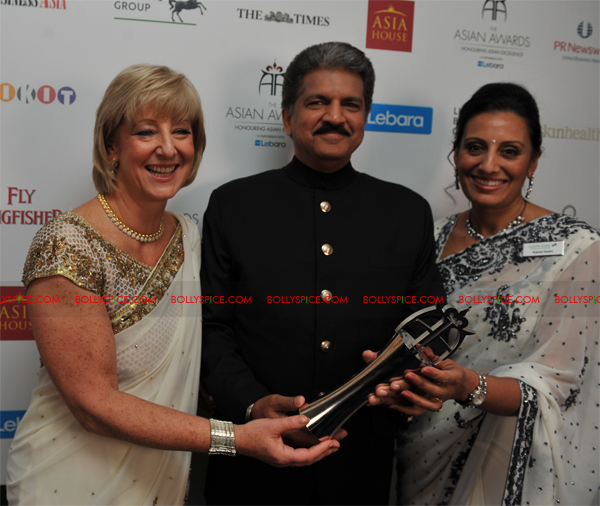 “The Asian Awards does not just recognise the outstanding achievers from Asian communities around the world, it also brings them together to create a united whole that is greater than the sum of its parts. The accomplishments of all the winners inspire millions of other people – both in Asian communities and more widely – to pursue their ambitions. 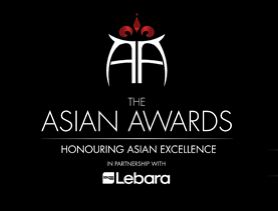 These are just some of the reasons why the Asian Awards are unique and why Lebara is proud to sponsor the Awards”, said Ratheesan Yoganathan, CEO, Lebara. “The Asian Awards is not only a way for a community to celebrate its own success – it is a way to share the stories and achievements and lives of these great people with the world, to inspire the millions of us who strive to be the best we can. 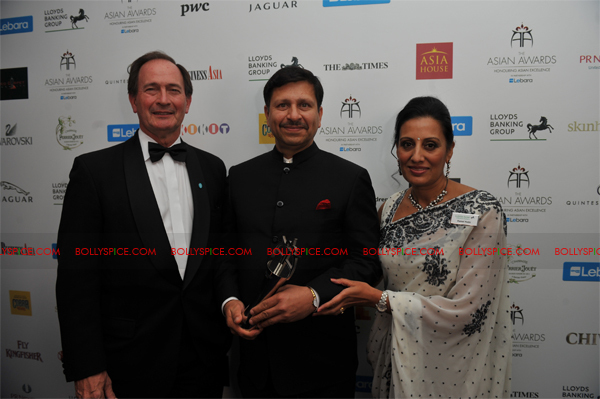 The Awards also recognise and support the vital work of Save the Children in the South Asian diaspora and we are delighted to have been able play our part in supporting their efforts,” added Sagoo. 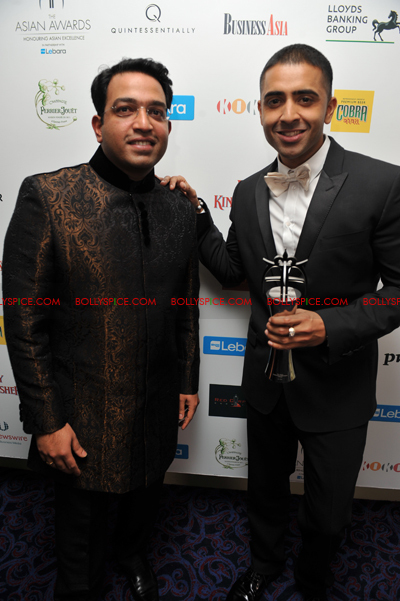 A celebration of excellence among the global Asian community, the Asian Awards in partnership with Lebara were launched in 2010 to recognise and reward the outstanding achievements of individuals born in or with direct family origin from India, Sri Lanka, Pakistan or Bangladesh across all disciplines of life – from business to the arts, culture, sport and public service. 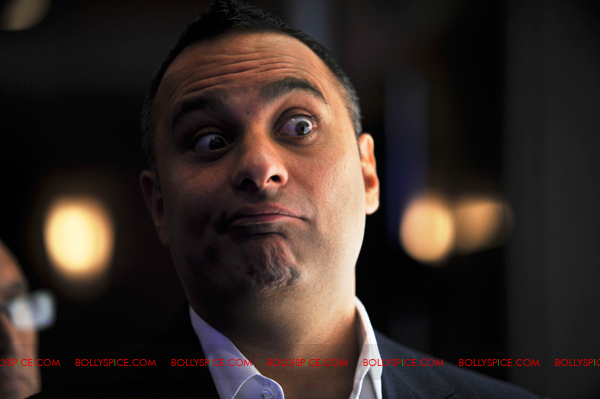 TheAsianAwards: @therealrussellp Yes! You really won!!! And you have the trophy to prove it! 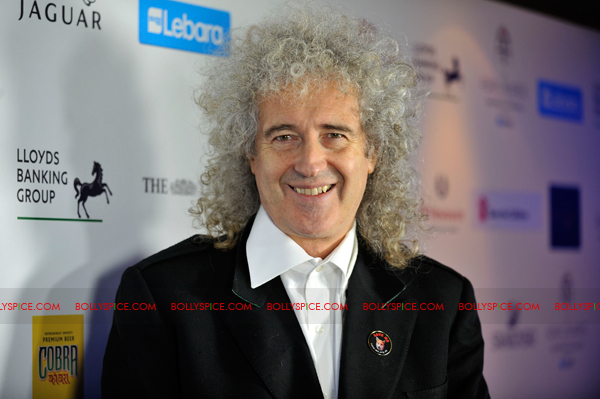 The Asian Awards: @QueenRockBand Its our pleasure! We’re incredibly honoured to have had Brian May and Freddie’s family accept on his behalf! Great evening! 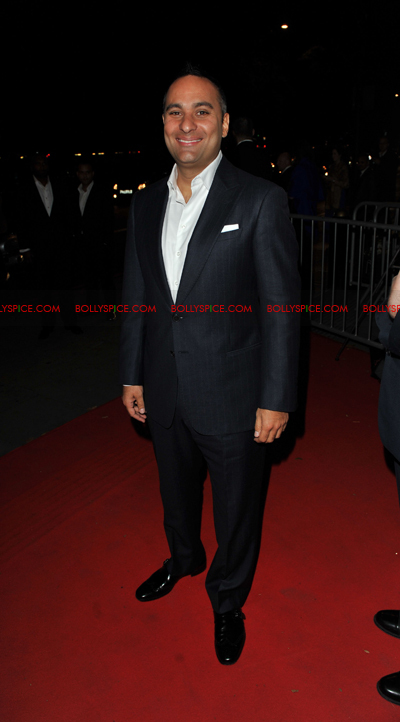 Now check out these exclusive images from the night!